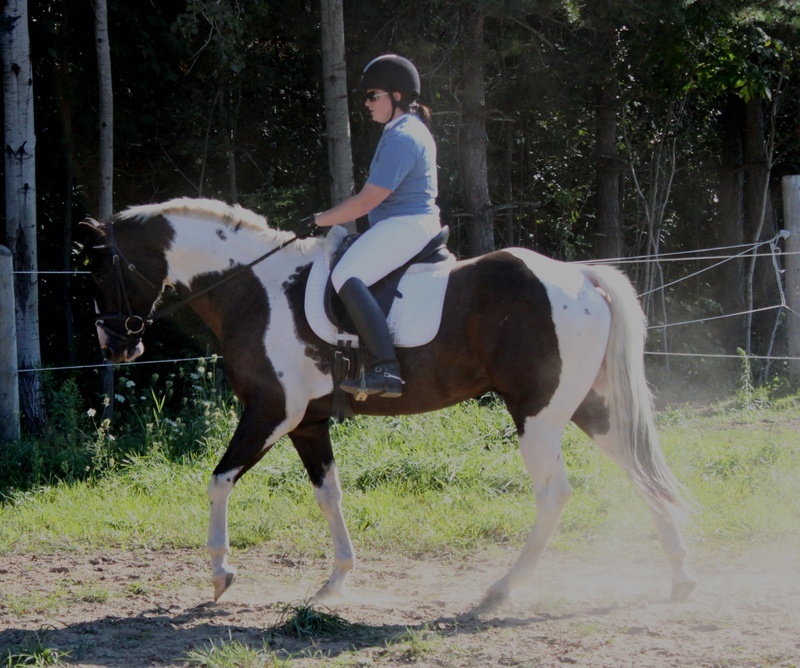 Luke is a very flashy sport horse prospect. If you want to get noticed in the ring, this is your boy! 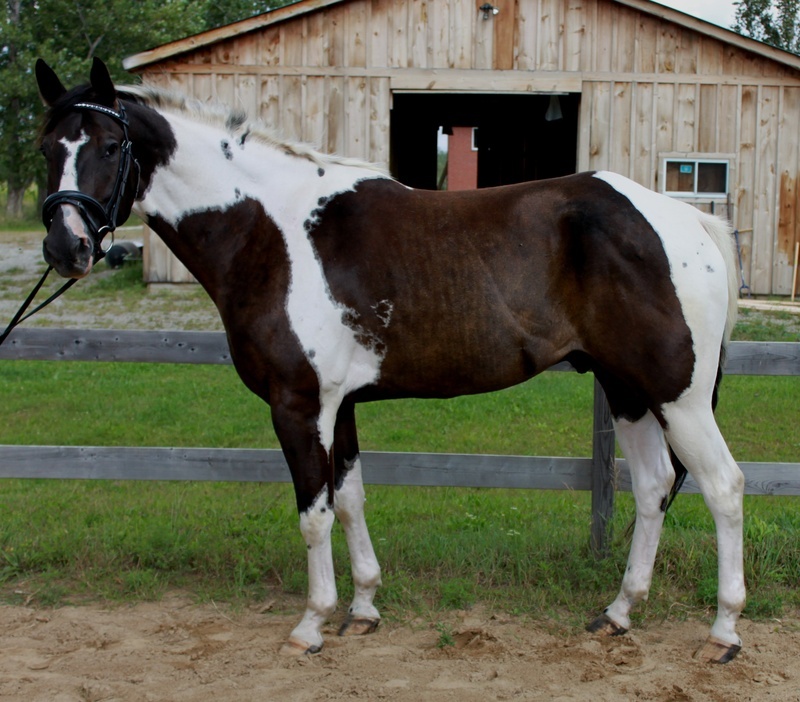 He is a 5 year old, 16.2 h, black tobiano APHA registered gelding. 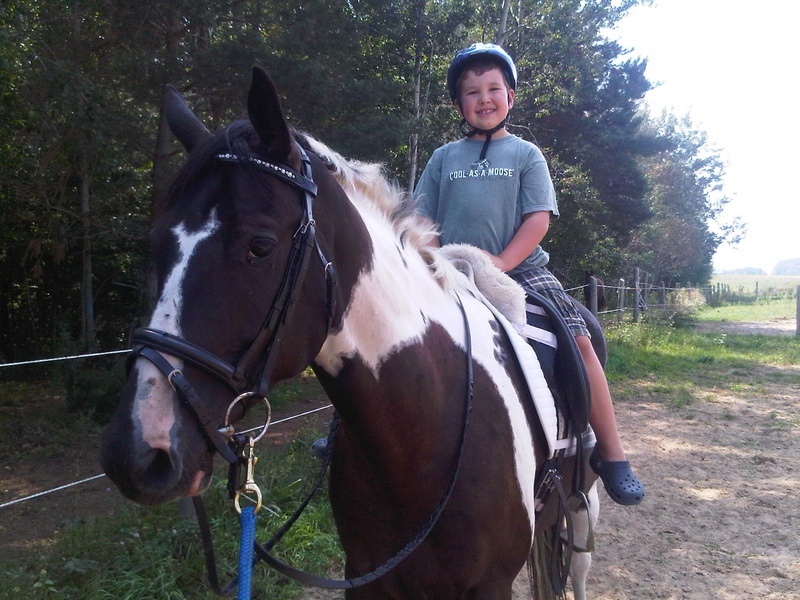 He has been used for trail riding in the past and is not spooky, will walk through creeks and over bridges. Safe, safe, safe, quiet, and very sweet personality. Luke loves attention and stands quietly for grooming. He baths, clips and trailers well. Luke is an easy keeper, lives outside 24/7, and gets along with everyone in the herd. He is sound, sane, and doesn't have any vices. 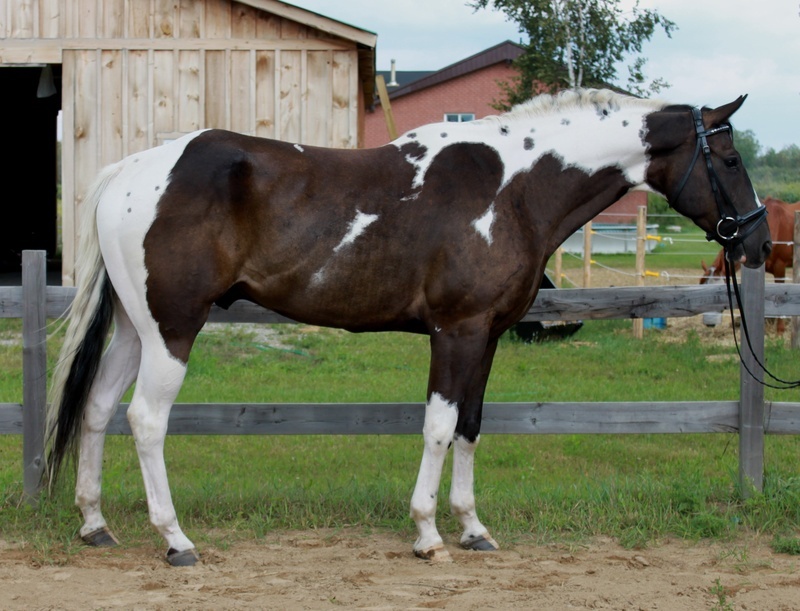 This flashy guy would do well in the dressage ring, hunter/jumper or as an eventer. 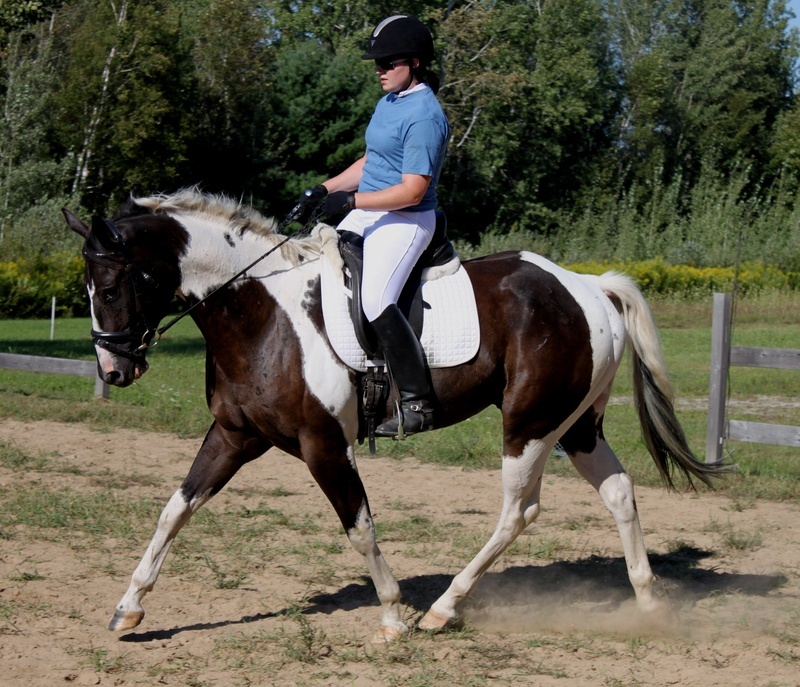 He is brave, loves to please and is very athletic. Sold! 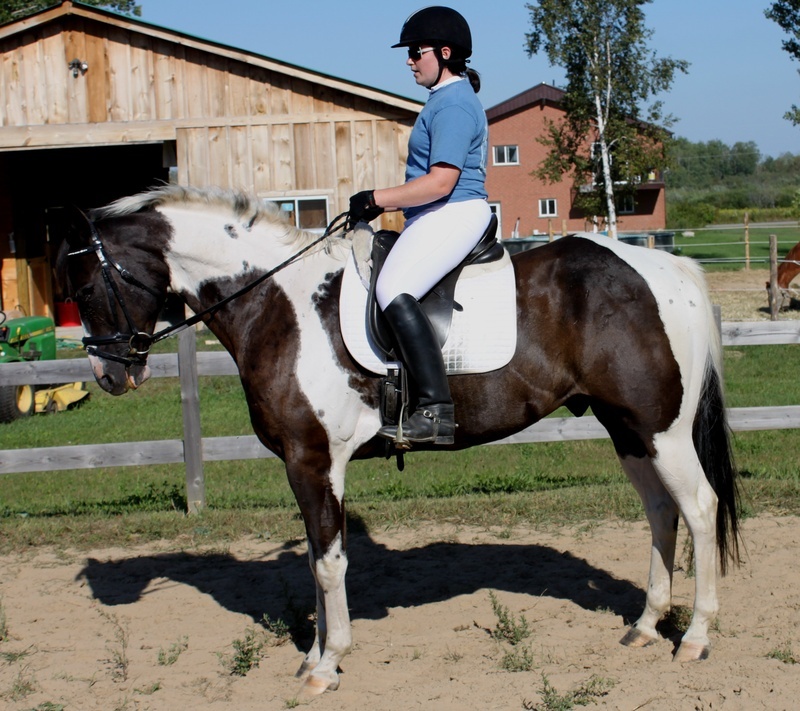 Congratulations to Cassie on the purchase of this fantastic horse!